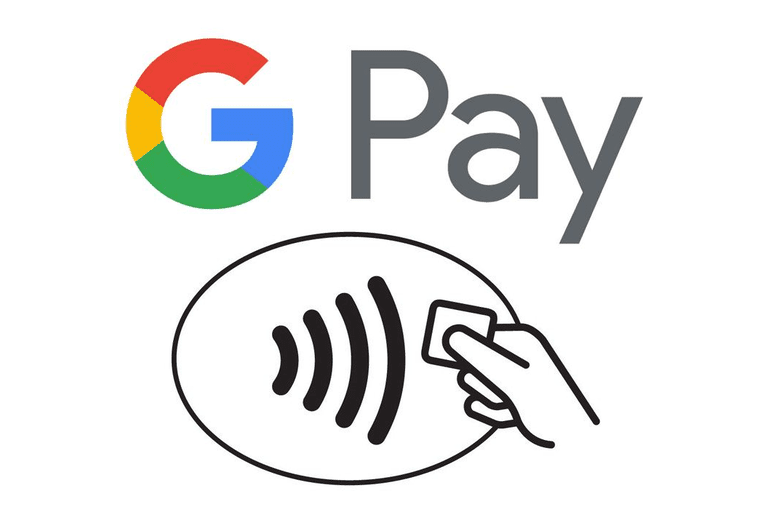 There are two ways to pay with Google and both of them use the free payment platform called Google Pay. One lets you buy things and the other is for sending and receiving money with other users. The first app, Google Pay for Android, lets you pay for things online, in stores, in apps, and other places. It works for Android devices only and is only accepted in select places where Google Pay is supported. Google Pay used to be called Android Pay and Pay with Google. The second—called Google Pay on iPhone, and Google Pay Send on Android—is another payment app from Google but instead of letting you buy things, it's used to send and receive money with other people. It 100% free and works on computers, phones, and tablets, for both iOS and Android. This used to be called Google Wallet. Google Pay is like a digital wallet where you can keep all your physical cards in one place on your phone. It lets you store debit cards, credit cards, loyalty cards, coupons, gift cards, and tickets. To use Google Pay, just enter the information from your payment card into the Google Pay app on your Android device and use your phone instead of your wallet to buy things wherever Google Pay is supported. Google Pay uses your card information to make purchases, so you don’t have to transfer money to a special Google Pay account or open a new bank account to spend your money. When it's time to buy something with Google Pay, the card you choose will be used to pay wirelessly. Not all cards are supported. You can check which ones are in Google's list of supported banks. Google payments are allowed anywhere you see the Google Pay icons (the symbols at the top of this page). Some of the places you can use Google Pay include Whole Foods, Walgreens, Best Buy, McDonald’s, Macy’s, Petco, Wish, Subway, Airbnb, Fandango, Postmates, DoorDash, and many others. You can see how to use Google Pay in stores in this video from Google. Google Pay only works on Android, but if you want to pay for things with Google on your iPhone, you can connect your phone to a Wear OS (formerly Android Wear) smartwatch and pay with the watch. Google Pay (called Google Pay Send on Android) is similar to the Google Pay Android app in that it’s a Google app that deals with your money, but it doesn’t really function the same way. Instead of letting you buy things, it’s a peer-to-peer payment app that can send and receive money to and from other people. You can send money directly from your debit card or bank account, as well as from your Google Pay balance, which is a holding place for money that you don't want to keep in your bank. When you receive money, it's deposited to whatever payment method is chosen as your “default” one, which can be any of them—a bank, debit card, or your Google Pay balance. If you choose a bank or debit card, money you get over Google Pay will go directly into that bank account. Setting the Google Pay balance as your default payment will keep incoming money in your Google account until you move it manually. There are a number of ways to use Google Pay and they all work the exact same way. The screenshot below shows how to send money with Google Pay as well as how to request money from another Google Pay user, both of which can be done with the Google Pay website. As you can see, you can add up to five people to request money from or one person to send money to. When sending money, you can pick from any of your payment methods to use for that transaction; you can change it each time you use Google Pay with that drop-down menu. On a computer, you can also use Gmail to send and receive money via the “Send and request money” button ($ symbol) at the bottom of the message. It looks a lot like the screen above but doesn't let you pick who to send the money to (or request money from) since you've already chosen that in the email. The same is possible with the Gmail mobile app. Another place Google Pay works is through the mobile app. Just enter a phone number or email address for whoever you want to send money to. You can get Google Pay on iTunes for OS devices and on Google Play for Android devices. Yet another place where you can make Google payments to someone, or request money be sent to you, is through Google Assistant. Just say something like "Pay Lisa $12" or "Send money to Henry." You can learn more about this feature from this help article on Google's site. There's a per-transaction limit on Google Pay of $9,999 USD, and a $10,000 USD limit within every seven day period. Google Wallet used to offer a debit card you could use to spend your balance in stores and online, but that's been discontinued and there isn’t a Google Pay card you can get... at least not yet.